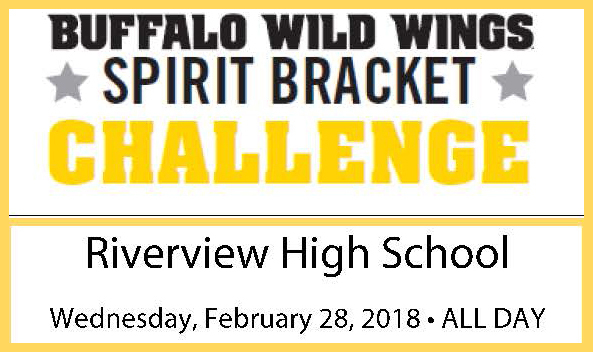 Riverview High is moving on to the the 3rd round of the Buffalo Wild Wings Spirit Bracket Challenge! We are SO close to winning this statewide fundraising challenge. 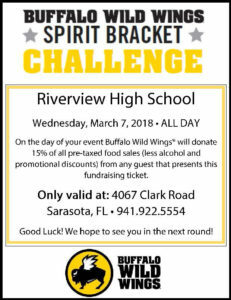 The next date is March 7th- so make sure you head out to Buffalo Wild Wings on Clark Road. 15% of everything you buy goes right back to RHS!